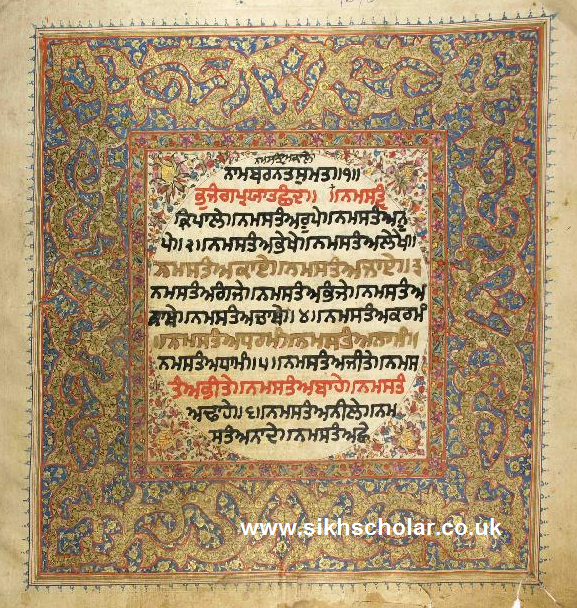 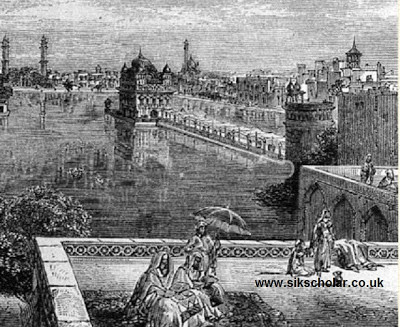 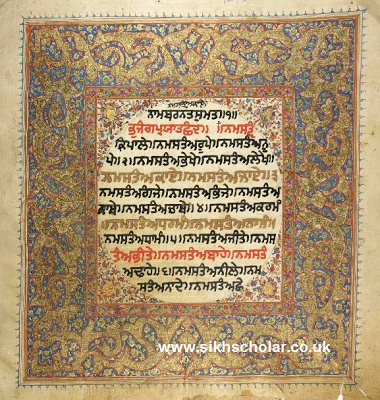 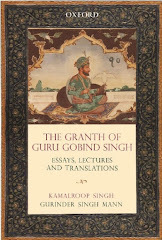 A decorated manuscript of Sri Dasam Granth Sahib kept at Sikh Reference Library Amritsar. 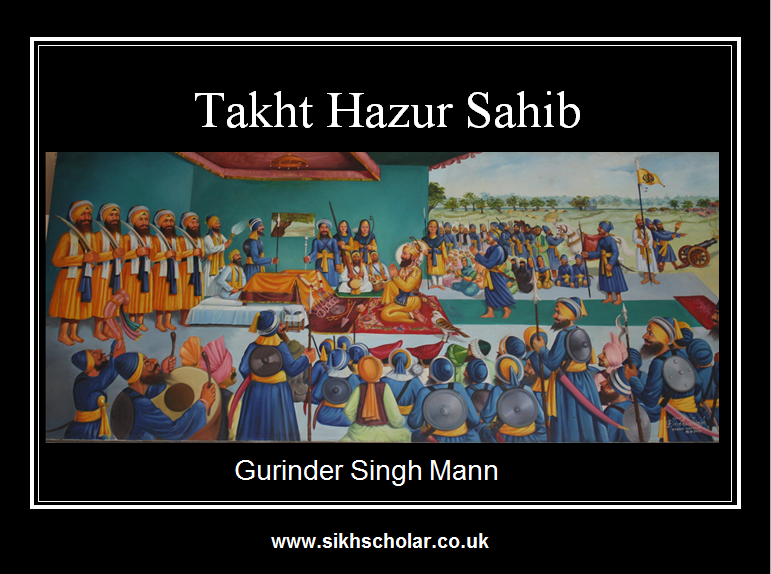 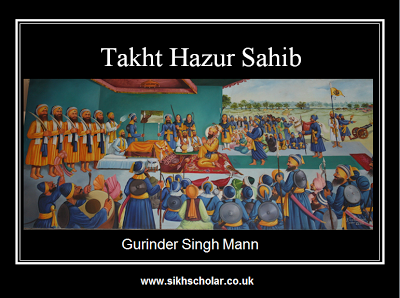 I undertook a small talk on Takht Hazur Sahib for Sikh children attending Sikhi classes at Guru Nanak Gurdwara, Holy Bones, Leicester. An old engraving showing Granthis reciting from two Granths: this is similar to the painting created by August Schoefft.